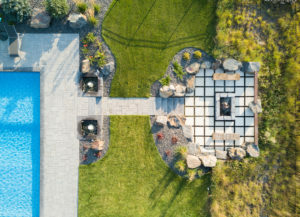 Netley Creek Landscaping provides custom landscape design and installation to residential and commercial owners in Winnipeg and surrounding areas. 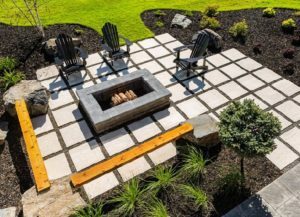 At Netley Creek Landscaping we are the next generation in custom landscapes, always keeping a focus on new modern design and using the newest products from our suppliers to incorporate into our designs. The process begins with an initial meeting with the client. During this meeting, the client’s ideas, expectations, and budgets are discussed in detail. Keeping these aspects in mind, we will either utilize the current landscape or design a new yard from scratch. It is not uncommon for the client to be unsure of what they want their design to look like. 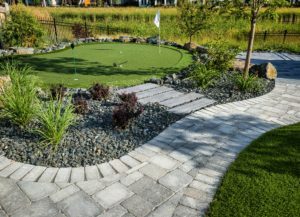 Netley Creek Landscaping is experienced in designing yards from beginning to end and will work fully with the client to come up with the yard of their dreams. 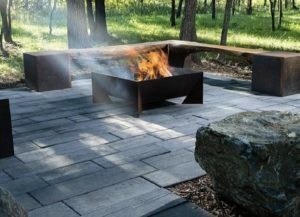 It is our passion to develop and design new and exciting concepts to make your landscape a truly unique masterpiece. Our company has grown at a fast pace and we believe this to be because of our great attention to detail, design experience, and interaction with our clients. 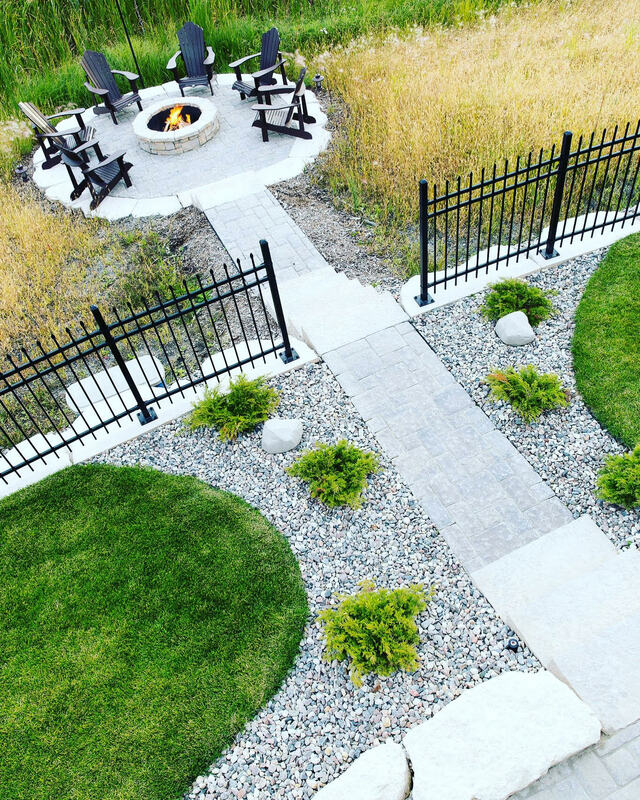 Upon completion of a yard, it is our motive to ensure complete customer satisfaction, while building future relationships along the way. Some of our latest work. Head over to our gallery for more! Steps, patios, walkways, or driveways can all be created with the various types of interlocking stone available. Roman or modern design, any landscape can be transformed into a beautiful living space using certain stone to accent your home or building. Unlike concrete, which cracks over time, interlocking stone is great to use with our changing climates. 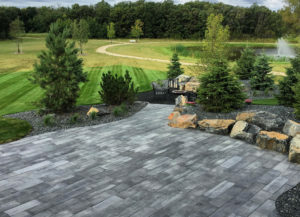 From frigid winters to blazing summers, the interlocking stone choice will hold up to anything while boosting the property value in which it lies. 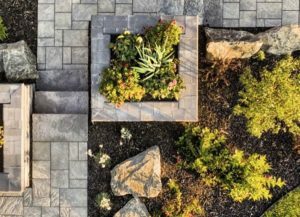 There are many different reasons to install a retaining wall into your landscape design; whether it is to install different tiered heights in your yard, add strength to an area, stair construction, planters, or just for decoration. A wide variety of colors and styles are available for any landscape theme being achieved. By covering a weed proof barrier with different types of rock or wood mulch, we create areas in your yard for plantings such as trees and shrubs that are maintenance free. Not having to cut grass or pull weeds around these plantings gives you more time to enjoy your yard while giving your property a great look. These beds are great for bordering buildings and other areas that are tough to maintain or need better water drainage. Retaining walls and boulders are often installed within these beds to improve the look of the landscape. Natural boulders are a great way to give a unique but natural look to any landscape. Different sizes and colors are used to determine that custom look which makes each landscape different from others. Lush green sod is a great way to finish off a new landscape or repair an existing one. Peat sod is used in areas where personal maintenance is not a problem. This sod is the greenest looking and suited for residential installs. Mineral sod is used mostly for business and cottage owners where maintenance is not as easy to do. This sod is tougher and does not need as much care but it also is not as lush as peat sod. Why wait a couple years to have a nice lawn when you can have a beautiful lawn in a matter of hours? The use of trees and shrubs has an important role on how your landscaping looks when it is completed. Whether it be for shade, wind protection, wild life, privacy, or to soften up the landscape, it is important to choose the right amount and combination of trees and shrubs. When choosing which plantings are right for the area it is vital to consider wind, temperatures, water drainage, and soil that the plant will be facing to achieve a lush healthy landscape. There are a variety of shrubs and trees that can be installed to get different foliage colors and smells to accent different areas of your yard. Fountains, ponds, and waterfalls are all used to create a very unique area in a landscape space. 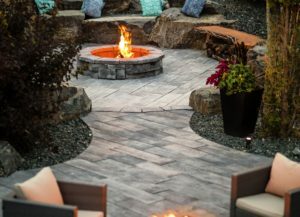 The sounds of flowing water is a great natural way to create a soothing and therapeutic atmosphere in any area of your yard such as an entrance way, firepit, or garden area. Natural stone is used in design to keep the landscape flowing smoothly. "Friends and clients have used Netley Creek Landscaping and are always thrilled with the results! I recommend them as my #1 landscaper." "Top drawer experience with this company. On time, quality work, excellent follow up service Russ and entire team are great!" "We have worked with Netley Creek on many jobs over the years. Justin and Russ have a real commitment to detail from designing to initialling and warranty in years to come. Great to work with and always have happy and satisfied customers." "Russ and his team were great. They do awesome work and they stand behind it. Their #1 goal is to make the client happy. We had quotes from 3-4 landscaping companies and we're glad we went with Netley Creek Landscaping. We would definitely use them again and would recommend them to anyone." "Dealing with Russ & Justin was great. They handled all of our outside yard designs including building our interlocking brick driveway, brick patio in our backyard as well as all the grass and shrubbery. They have a real passion for your work, are honest, down to earth and stand behind both their original quote and if there are any issues after completion. It was a pleasure dealing with you guys, and my friends and family that I have referred have been extremely impressed as well." "Russ and his crew were excellent to work with and did an amazing job. We have hired them for additional work and are already looking forward to that." "...Overall, Netley gave us our dream yard on-time, and on budget. They've done excellent work for us and a few of our friends, and we'll definitely be using them again if we ever move."